What is Dr. Asma Herbals Anti Constipation Powder? 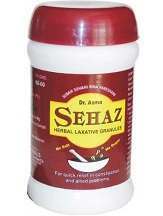 Dr. Asma Herbals Anti Constipation Powder is among the many constipation remedies on the market. The manufacturer of the powder claims that it is formulated with pure and natural herbs that guarantee users exceptional results. Additionally, the remedy alleges it can help in the termination of the effects of constipation such as headaches and hyperacidity. The aim of this review is to furnish you with the fact-based information that you need to have regarding this powder so that you can be better placed to make a favorable buying decision. Keep on reading this post to learn more. This product is manufactured in India. The recommended dosage instructions of the powder is to take ½ to 2 teaspoons as per requirement at bedtime alongside water. These dosage instructions are not very specific. There is no pricing for this product on the manufacturer’s website. The company has inquiry forms a potential buyer can fill. Additionally, they provide an email address and telephone numbers one can call to get further assistance. So far, we have not come across any negative side effects that accompany this remedy. However, you may need to take necessary precautions to save yourself any adverse side effects. First, all expectant and breastfeeding mothers have to consult a doctor before they take the remedy. Second, if you are suffering from any chronic health conditions, it is also advisable to get a physician’s approval before taking this herbal product. Third, if you are allergic to any of the ingredients listed on the label of this product you need to avoid it completely. The manufacturer’s website doesn’t contain any consumer reviews that can give prospective buyers an idea of how effective the product is. Additionally, there is no manufacturer’s money-back guarantee that accompanies this product. This lack of a refund policy leaves the customer exposed to the costly possibility of losing their money if the product does not deliver as per its promise. This product is also manufactured in India where industry standards may not be the same as the US. Dr. Asma Herbals Anti Constipation Powder seems to be another average solution that joins the long list of other products that are seeking to offer relief for constipation and its related complications. Aside from the list of ingredients that the product contains, the product leaves a lot to be desired. First, the lack of actual information about this product and the herbs it contains make us unsure about the effectiveness of this product. It is also not manufactured in the US and so it may not meet the same standards in safety and quality as those supplements that are manufactured in the US. It is also unclear where this product can actually be purchased. We recommend looking at other alternatives available on the market.